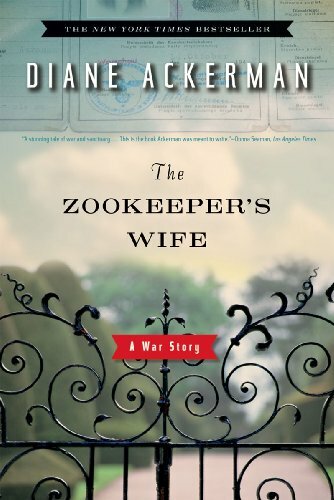 From the back cover: "After their zoo was bombed, Polish zookeepers Jan and Antonina Zabinski managed to save over three hundred people from the Nazis by hiding refugees in the empty animal cages." This is a disturbing and also wonderful story, gleaned from the diary of Antonina. It gave me a snapshot of some of the events that occured during these troubling times. This is going into my Family Members virtual bookbox. This book is now on its way to jumpingin, who chose it out of my Family Members Virtual Bookbox. Enjoy! Thanks so much, loveamystery, for sending this book. I'm really looking forward to reading it. This book was interesting and touching, telling the story of occupation and the Holocaust from a different point of view. Even though I have read several accounts of this period in history, I learned a lot from this book and was inspired by the strength and courage of Antonina and Jan. The book will be travelling to its next reader within the next few days. Sent to LovesOU, who chose it from bookstogives' General Literature VBB, by surface mail. Hooray! The book arrived today from a gen Lit VBB. Thank you so very much! I caught this book a while ago from my sister, and thought I had journaled it a while ago. Sorry! I will be reading this soon, and it is also going into greenbadger's Alphabet VBB as an entry for the letter Z. This copy was put into greenbadger's Alphabet International VBB. It is now making its way to Lithuania! Happy travels, little book! The book is safe and sound in a new home! The book is moving to Greece!